Nashville’s known for country music, amazing Southern cuisine…and whitewater rafting! While whitewater rafting may not be the first thing that comes to mind when many people think of Nashville, it’s true that with just a short drive, you can be enjoying some of the finest whitewater in the Southeast. The Ocoee River is the most popular choice for whitewater rafting near the Music City. River trips start near the town of Ducktown, Tennessee, roughly three hours southeast from Nashville. Rafters typically raft one of two sections on the Ocoee. The Middle Ocoee run is five miles, Class III-IV, and is one of the most popular whitewater runs in the country—perfect for adventurous families. The Upper Ocoee run is five miles, Class IV+, and is ideal for those seeking a more thrilling experience. The runs can be combined into one action-packed 10-mile day. No matter which section you choose, expect to be thrilled with near-constant rapids as you travel through the Ocoee’s beautiful natural gorge. Rafting trips on the Pigeon River start in the town of Hartford, TN, about three and a half hours east of Nashville. The Pigeon River runs are located just outside Great Smoky Mountain National Park—rafters delight in the views of the Smokies, dense forests, and misty mornings. The Pigeon River has two popular rafting sections. The Upper Pigeon run is a five-mile, Class III-IV stretch of river. Rafting this section takes approximately two hours and is suitable for ages eight and up. The Lower Pigeon run is an easy five-mile stretch of Class I-II river features, perfect for families with young children (as young as age four). 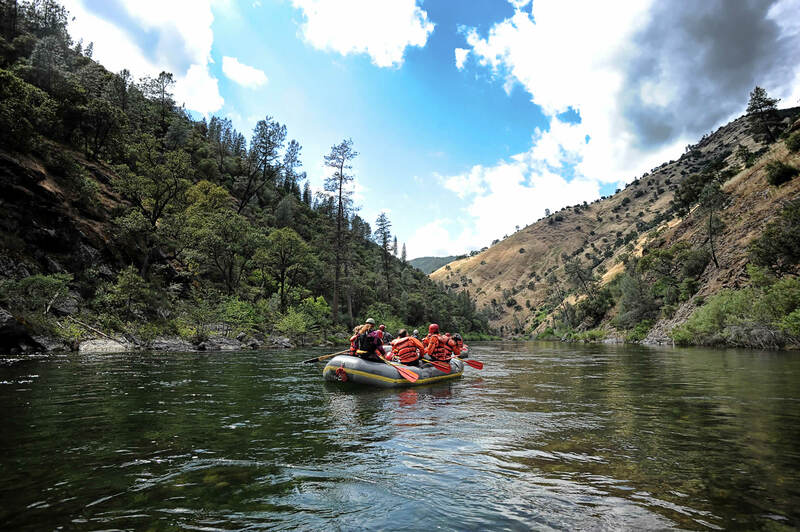 Though the typical season is Memorial Day through Labor Day, occasional early season or late season trips are sometimes possible, depending on seasonal water flows.